Outraged over their omission from the census, the Sikh community of the Khyber-Pakhtunkhwa is planning to stage a protest. PESHAWAR: Outraged over their omission from the census, the Sikh community of the Khyber-Pakhtunkhwa (K-P) is planning to stage a protest in the federal capital with protests already under way in different districts of the province. “Every religion is mentioned in the census form except Sikhism, which is a religion recognised the world over, but sadly our government has forgotten us in the most important national event that can change the fate of every Pakistani,” The Express Tribune quoted K-P’s Pakistan Minorities’ Alliance president Radesh Singh Tony as saying. 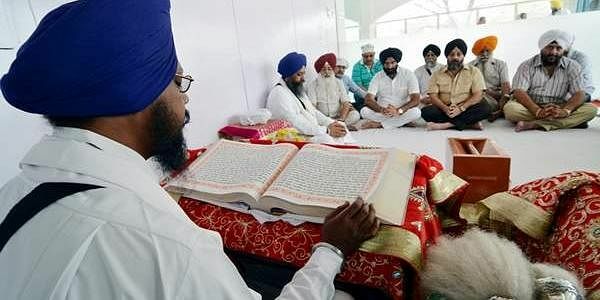 “If the government can mention Hinduism, Christianity and other religions, then they could have also added Sikhism but they did not,” he questioned. “It is a conspiracy to create a rift between the Sikh community and the government of Pakistan. We will use our right to protest against this act of the government for not giving importance to an important community in the census that can affect our future. We will boycott the census if the government does nothing to safeguard our rights to be counted as equal citizens,” he added. Another member of the Sikh community, Harmeet Singh, said the origin of Sikhism is in Pakistan as Guru Nanak was born here in Punjab. Sikhs from all over the world visit their sacred places located in this country but not mentioning our religion in the religious column of the census form is unjust with thousands of Sikhs living in Pakistan, he added. The census exercise is taking place after a delay of nine years, as the last population census was conducted in 1998. The data obtained from the census will be used for distribution of the National Assembly seats and division of financial resources. The population is also the base for distribution of civil service jobs among the provinces.